Denne gangen var det å lifte DENNE layouten, laget av Piradee Talvanna. Jeg lagde to løsninger, som er veldig forskjellige! LO'en handler om lille Leo som dere har sett så mange albumsider om tidligere, som nå har blitt stor, og skal begynne på skolen!!! Hjelp, som tia flyr! 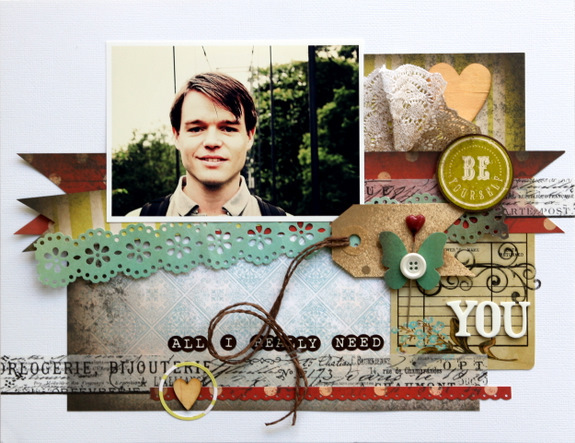 This time, the task was lifting THIS layout, created by Piradee Talvanna. I made two attempts at this one, quite different from each other! This layout is about little Leo, who my more dedicated followers already have seen quite a few album pages about earlier. He has now grown up to be quite the young man, starting school and all!! Time sure flies! Both your LO's are great takes on the original, but this LO is simply fantastic. Well done! Such a fun layout & a great lift!